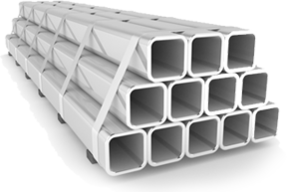 Stainless Steel Supplier - SS Tubes & Pipe Fittings Dallas, TX | Texas Alloys & Tool Co.
Texas Alloys & Tool provides a wide range of stainless steel shapes and grades to meet your specific needs, including stainless steel bars, beams, sheets, plates, and other shapes. Among these shapes, we offer the following stainless steel grades, depending upon your application: 304/304L, 316/316L, alloy 20, 303, 310, 416, 440, 630, and 17-4. Stainless steel bars and beams are ideal for many applications due to their durability, machinability, and superior resistance to corrosion. We provide materials that are used in various industries such as: food processing, pharmaceutical, energy, plant maintenance, and oil and natural gas exploration. Texas Alloys & Tool is the source for all your stainless steel and pipe supply essentials in the greater Fort Worth/Dallas area and throughout Texas. Contact our knowledgeable sales staff today to find out how we can meet your stainless steel needs. We offer various grades of stainless steel to include: 304/304L, 316/316L, Alloy 20, 310 and 416.